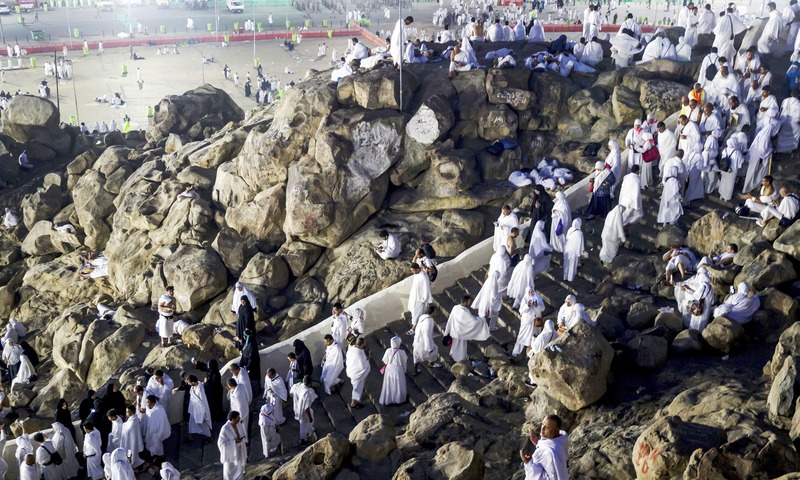 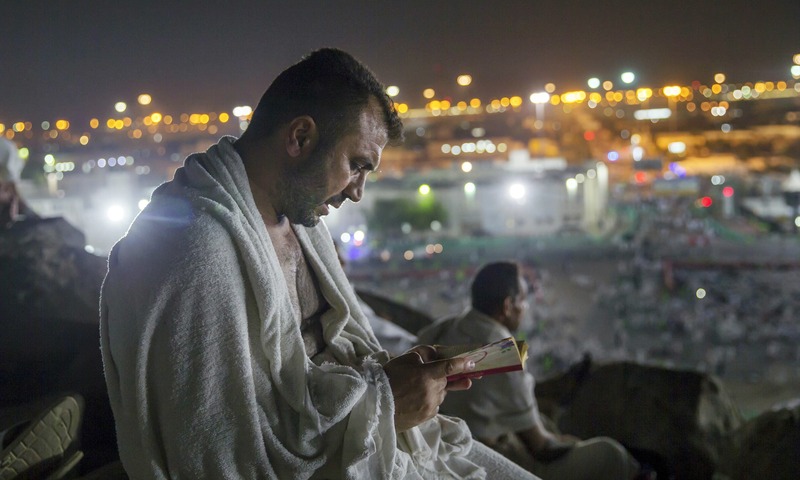 Worshippers scale the rocky hill southeast of the holy city of Makkah to atone for their sins. 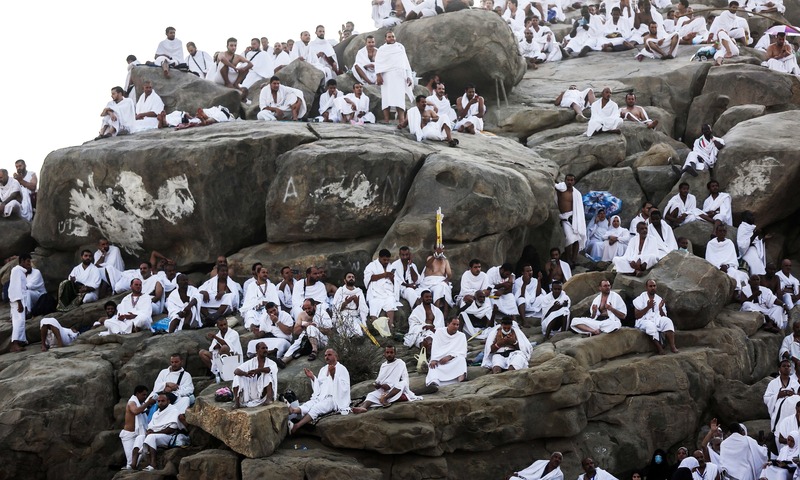 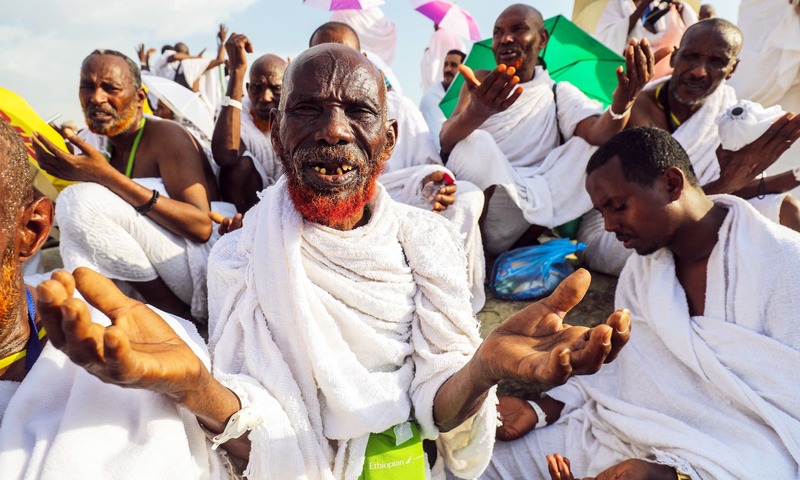 A sea of pilgrims ascended Mount Arafat in Saudi Arabia on Monday to pray and repent, the climax of the annual Haj bringing together more than two million Muslims from around the world. 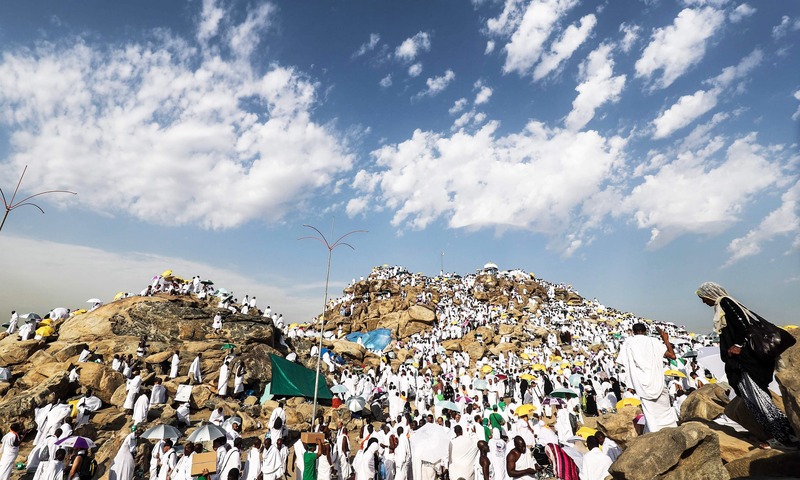 Carrying brightly coloured umbrellas under the blazing sun, worshippers scaled the rocky hill southeast of the holy city of Makkah to atone for their sins. 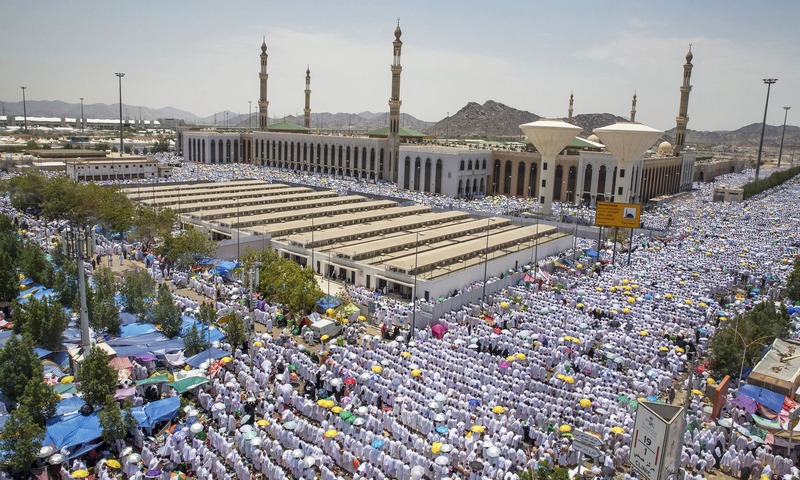 Arms raised, pilgrims repeated, “There is no God but Allah” and “Allahu Akbar” (God is greatest). 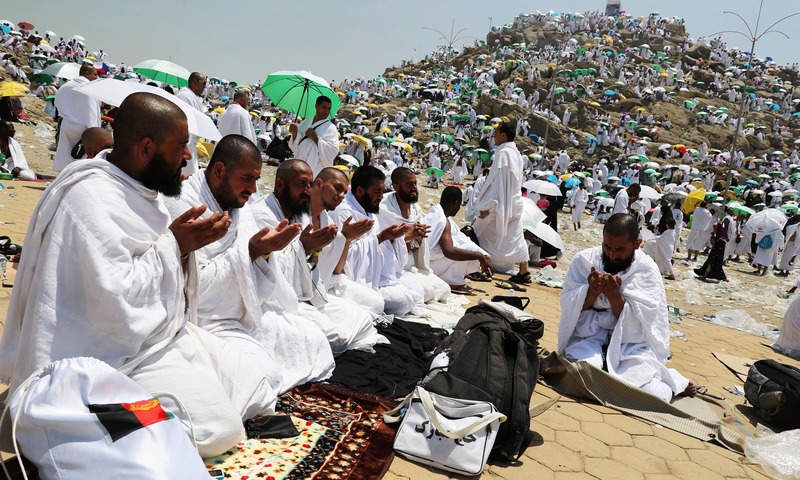 Nearly 2.4 million Muslims made the trip to Saudi Arabia, home to Islam's holiest sites, according to the kingdom's statistics authority. 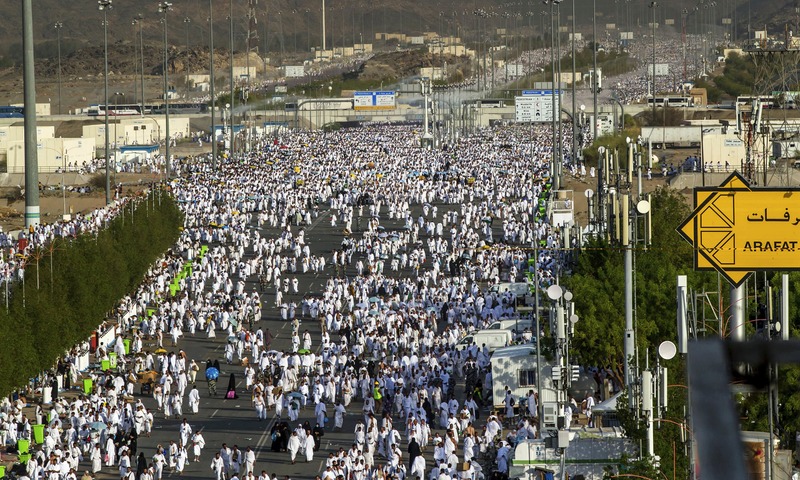 Some of the pilgrims — men in white seamless garments and women in loose dresses — pushed elderly relatives in wheelchairs on the second day of the Haj, one of the world's largest annual gatherings. 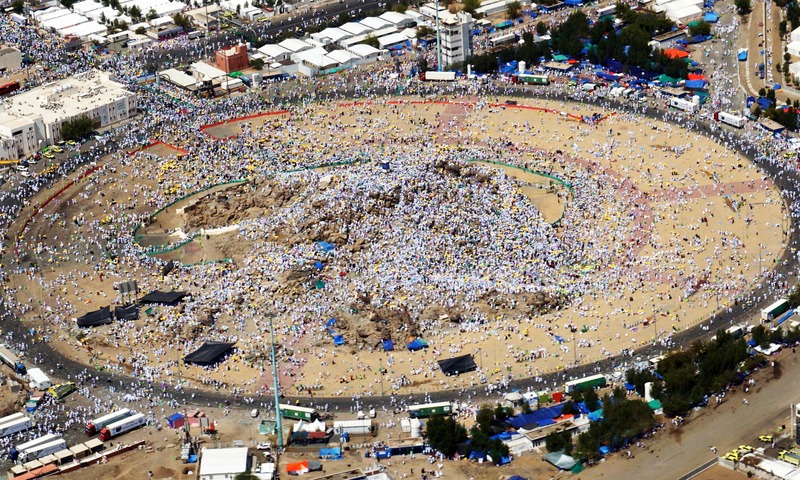 assuming 200 USD per person expense on food and travel, that is atleast 450 m USD of business for the local economy over the weekend.